Love Learning, Yet Hate School? Now, I should mention that I’m currently reading Tony Wagner’s latest book, Creating Innovators. I’m only a chapter or two in, but something clicked as I watched Suli Breaks‘ video sermon about re-envisioning the role of school in education. No, I wasn’t thinking that schools are no longer needed just because a handful of famous, wealthy, successful people didn’t stay in school (and I don’t think that was ultimately his point). Rather, schools are at risk of failing to serve students who want a more meaningful learning experience (which reminds me of Dan Brown’s An Open Letter to Educators video rant back in 2010). Could schools actually be on their way to earning a failing grade in their own course, Education 101? We must evolve our approach to teaching and learning. 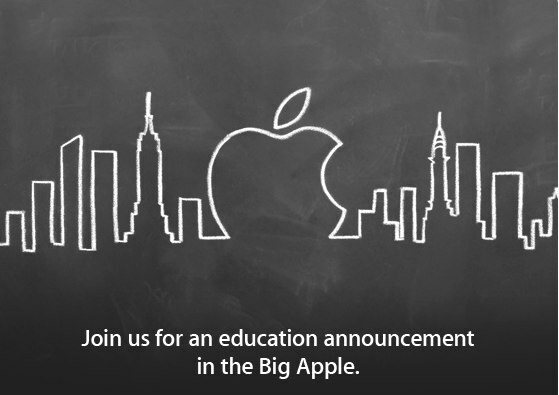 If we don’t, schools WILL become obsolete. It’s NOT good enough to hand our students a laptop or an iPad and proclaim, “There, now we’re 21st century school.” It’s about changing the fundamental way in which our schools and classrooms operate to best serve the needs of the modern day student. We have to make a shift from a pedagogy founded on knowledge-delivery to one that promotes creativity, innovation, and differentiation. At school whenever the teachers asked, ‘What do you want to do when you’re older?’ I’d say, ‘I want to be a footballer.’ And they’d say, ‘No, what do you really want to do, for a job?’ But that was the only thing I ever wanted to do. So he did. Beckham bends it with such skill and precision, not because Chingford Foundation School successfully coaches all their kids to do so, but because he had a passion for the sport that drove him to study and perfect the art of penalty kicking. Imagine how scary he would be on the pitch had his teachers fully accepted and promoted his passion for soccer as a career! Ultimately, schools must learn to inspire and promote our students’ inherent passion for authentic, meaningful, and individualized learning. After all, our future depends upon it. What are your thoughts about Suli’s video? How can we shift our approach as a school to provide a more relevant and authentic experience? Please share your thoughts. I’m so intrigued by the book I chose, yes a hard copy. 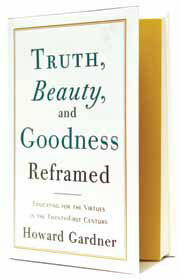 In Truth, Beauty, and Goodness: Reframed, Howard Gardner hopes to show how we can maintain traditional virtues of truth, beauty, and goodness in the not-so-traditional environment of today. He encourages us to continually confront and reflect on new examples of truth, beauty, and goodness and seek to align them with long-standing values. I felt this was appropriate in a few ways. Right now I am mostly thinking about how well this goes with our goal of obtaining to ways of teaching and learning without losing the values of traditional education, which has worked for many years. It is all about adjusting our attitude and continue to do what teachers have always done…be life-long learners! I’m so excited to try and fail new things…just as quickly as I get tired of my furniture, I get tired of the same ‘ol, same ‘ol in the classroom. It’s all in the best interest of the kids and let’s not forget, for us as well! I am a young teacher, so I started my career with a Smartboard, so I am not just necessarily talking about integrating technology, but the best practices of 21st Century fluencies. I just hope that all the teachers who have been educating for so long will maintain a positive, open attitude about the potential with moving into the 21st century! Great things are ahead!